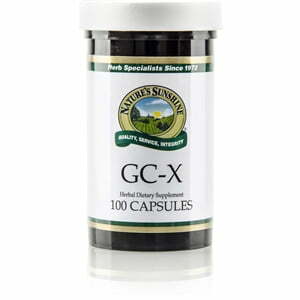 The herbs that make up Nature’s Sunshine GC-X all nourish the circulatory, digestive, and immune systems. 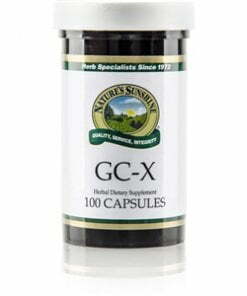 GX-X includes garlic, a well-known antioxidant and immune system booster, as well as capsicum which supports the circulatory system. The addition of parsley, rich in chlorophyll, to the formula neutralizes the odor of garlic. Ginger, golden seal, and eleuthero also provide essential nutrients to support the body’s systems.